Developmental science makes it clear that play positively affects children’s intellectual, social, and physical growth. However, financial pressures, an increasingly narrow focus on academics at schools, and the pervasive growth of technology has greatly reduced playtime for many children. The constraints on play are even worse for parents who feel enormous pressure to set aside their passions in order to better provide for their family's well-being. Yet parents too need to play and engage their interests in order to enjoy their lives and stay on a path of lifelong learning. We think of play as a state of mind that can occur during any activity whatsoever. In a state of play we are open, spontaneous, and worry-free. Because our guard is down, we stand ready to explore the world, try something new, and embrace new challenges. At the same time we are focused, alert, and concentrating while playing. We are, therefore, also ready and able to master any challenges we discover. This unique blend of openness and focus defines the play experience and, in our opinion, bestows its power for human development. In a playful frame of mind it is easier to stay engaged in the moment and enjoy whatever activity we are doing. When we enter adulthood and are smothered with expectations, it’s easy for play to take a back seat. Moreover, even when free time becomes available, many adults scoff at the idea of "playing" because it sounds childish. It may help to think of adult play in terms of a flow experience, a state of deep engagement that closely mirrors play. Over 40 years of research with thousands of adults has confirmed the many benefits of flow! Whether you call it flow or play, even parents of very young children can benefit by making room in their busy schedules to engage activities they love to do. But first you have to give yourself permission and not feel guilty doing so! Not only will this stimulate your own lifelong learning, our research shows that parents who experience play in their own lives are more supportive of their children's play. The ThroughPlay program recognizes that young parents struggle to find enough time to do everything they feel is important. That's why we highlight some of the advantages of outdoor play in nature. Nature play combines time with family and time playing. 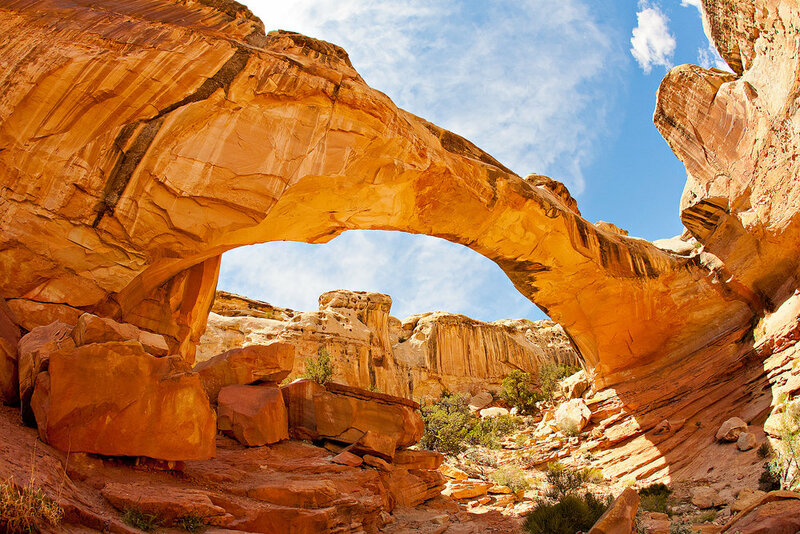 Nature's playground is also right outside the door and easily accessible in the beautiful state of Utah. We think of “nature” as including unstructured settings like forests, mountains, and national parks, as well as semi-structured settings such as nature centers, botanical gardens, and playgrounds. Active play outdoors is particularly conducive to healthy child development. It also can stimulate interest and unleash the imagination, like in this photo where seeds from a milkweed plant come alive and float away. Such moments of being wrapped up in nature are more important than they may seem at first glance. The scientist and writer Rachel Carson – one of the founders of the modern environmental movement – thought a child’s sense of awe and wonder set the foundation for lifelong learning. Nature offers a great opportunity for children and parents to play separately and together. We created a film called "Noticing" to highlight the shared attention that results when a family plays and explores together. In this live clip from a ThroughPlay in Nature presentation, a gentle pulse of music sets the stage for a peaceful and rejuvenating family walk through the Ogden Nature Center.